Matt Cutugno is no stranger to writing. He has a rich history of eleven plays to his credit. Each has been performed in theaters that crisscross the country from New York to Los Angeles. 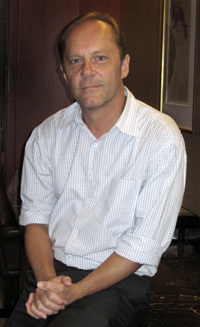 His short stories have been featured in anthologies, his essays published in literary journals, and his articles have appeared in newspapers in New York and China. The Winter Barbeque is his first book and it tells a story that is both poignant and on point to the Baby Boom generation and their parents. The Winter Barbeque is an end-of-life recollection told through the eyes of the author’s father - a member of the Greatest Generation, the generation that gave their lives and their futures in defense of America during World War II. As the clock ticks on Matt “Tug” Cutugno’s final hours, we are privileged to be part of his consciousness and his memories in this elegantly told story. 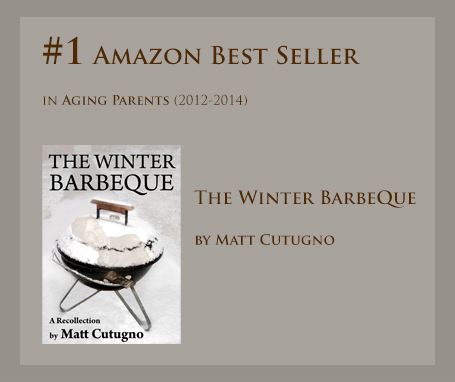 “The Winter Barbeque is an extraordinary and vivid memoir about the best that there is in a father. The author's honest and sympathetic style makes this an enormously rewarding work." His second novel, In Dracula's Time, tells of the author's chance meetings with an old man who actually met with Bram Stoker and who reveals Stoker's secret trip to the land of the vampires and the source for his creation of the legendary Count Dracula. In 2017, it was re-released under the title of The Dracula Legend: The Untold Story. Matt Cutugno's third novel, The Godless Men, written in the classic American Western-style, weaves a riveting story of two men struggling to survive along the Kansas-Missouri border in the days following the Civil War. It is the first book in his Tarnished Justice Series. His fourth novel, Mescalero Way, is the second book in his very popular Tarnished Justice Series and takes place just before the Civil War. Matt Cutugno is from New York and lives in California. Thirsty : 2012 December : Is Beijing in China? Thirsty : 2012 April : Is Closure really the Goal?